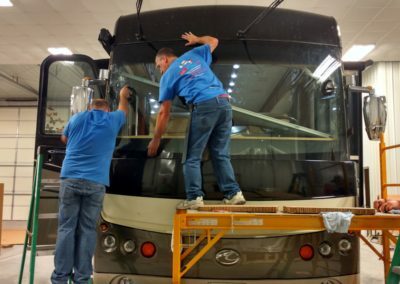 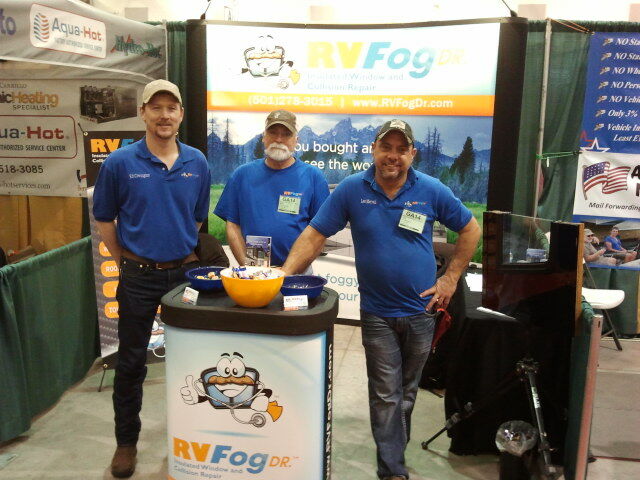 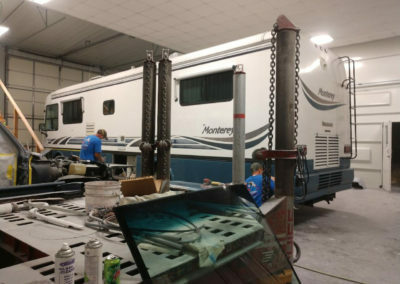 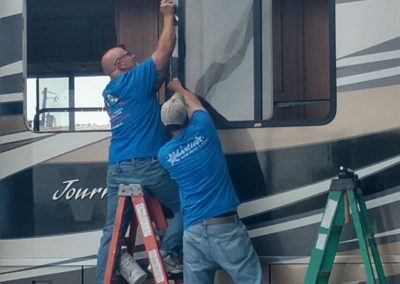 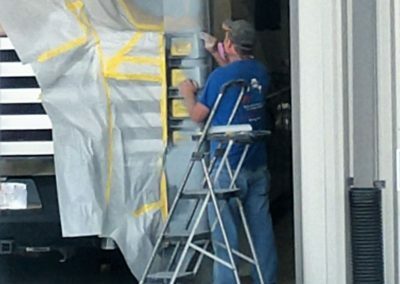 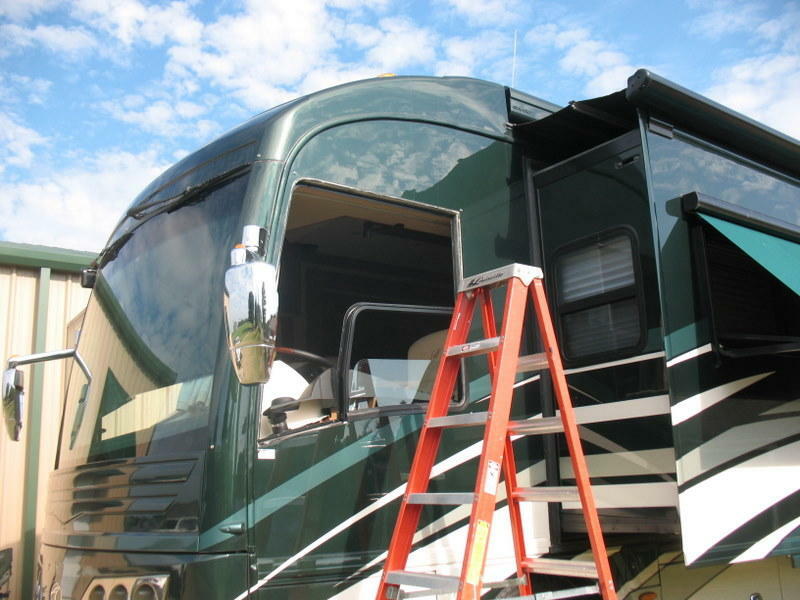 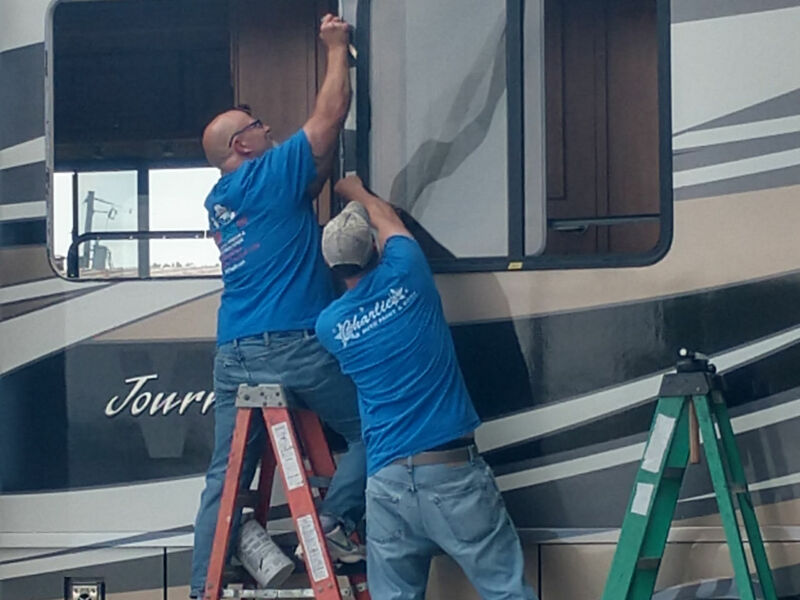 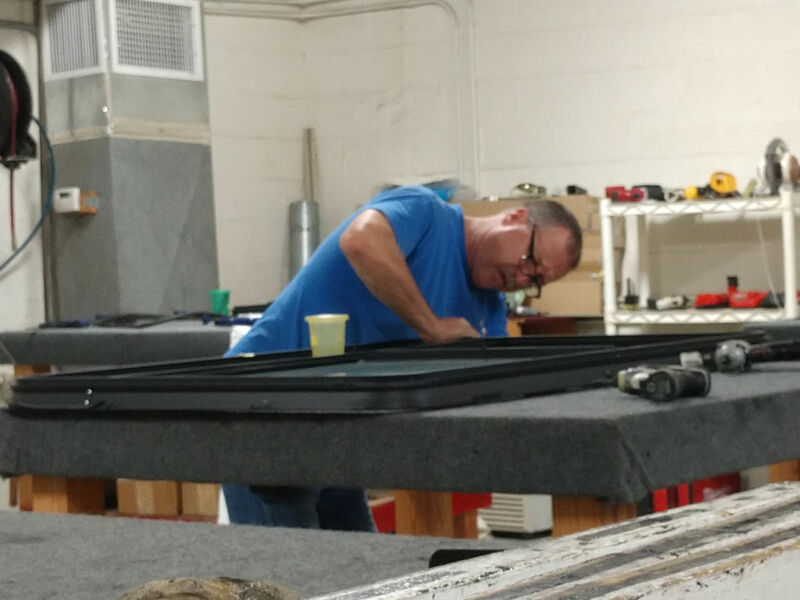 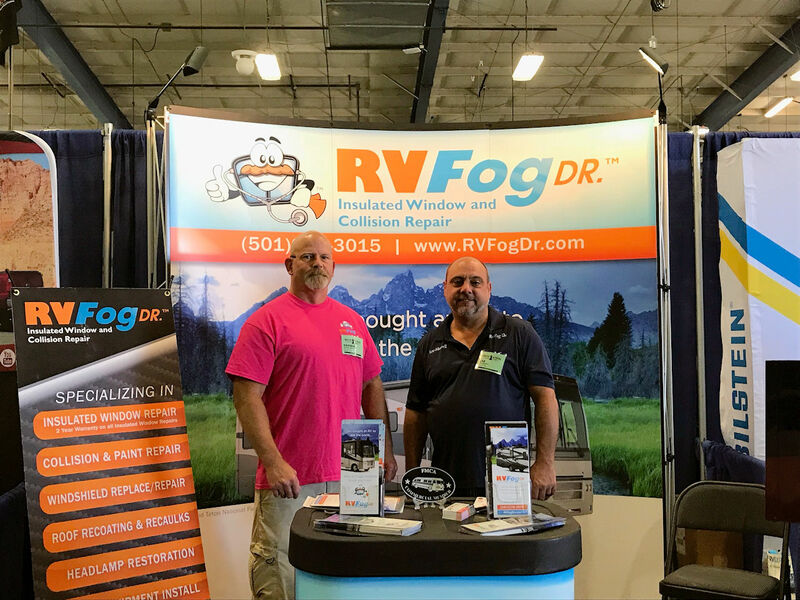 The RVFogDr is #1 in repair and replacement of fogged or foggy dual pane RV Windows- We also feature custom painting, repair all types of damage, and are excellent at maintaining and/or upgrading your ride. 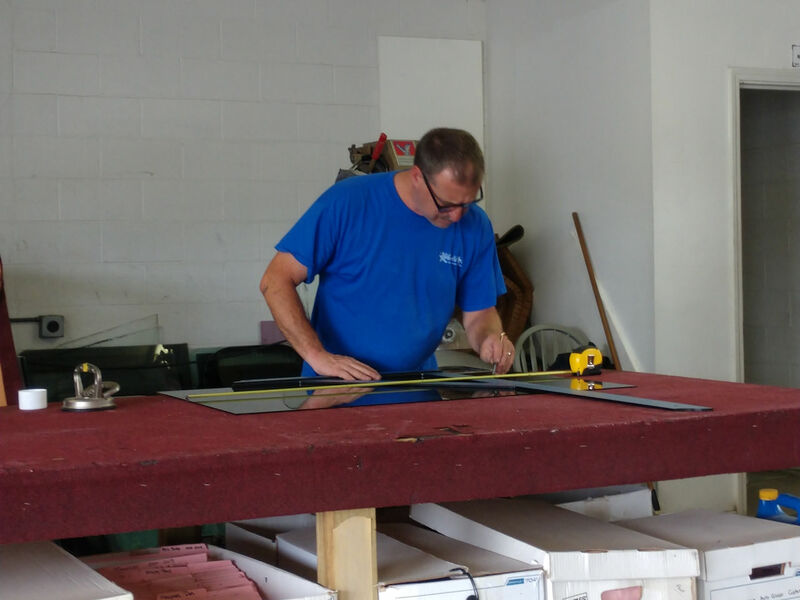 We also repair and replace windshields and all types of glass. 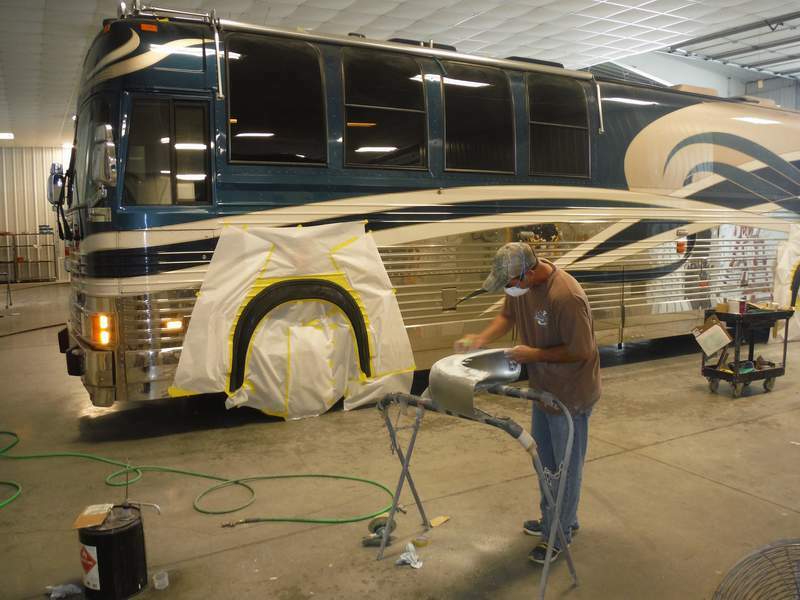 And, we are experts in damage repair and body painting as well. 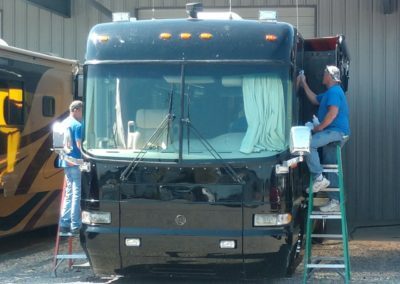 We also perform a host of other services such as roof painting and sealing- to keep your rig looking beautiful and safe and dry inside. 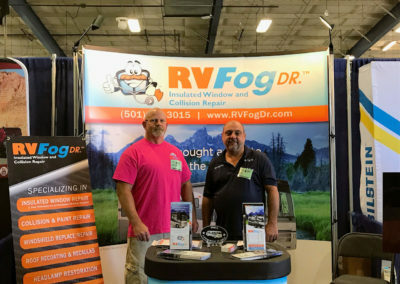 At RVFogDr, we specialize in repairing or replacing of foggy or discolored dual pane RV Windows. 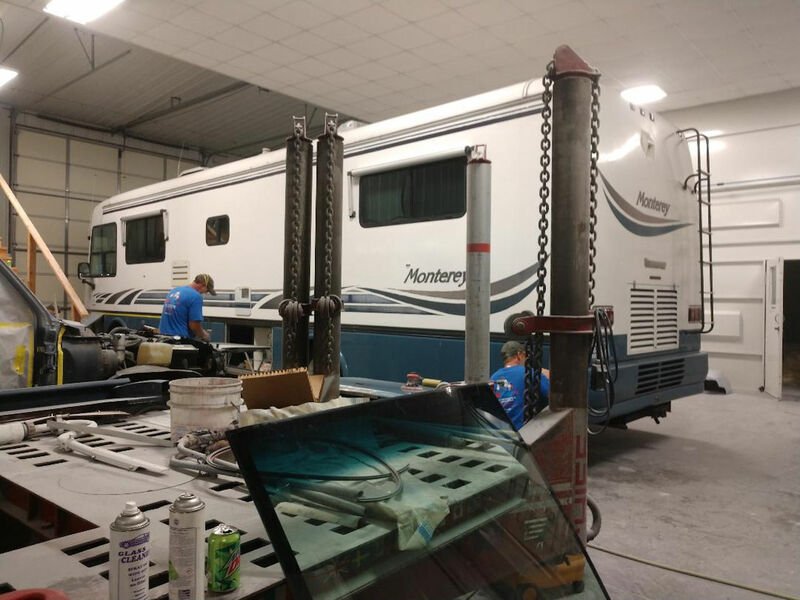 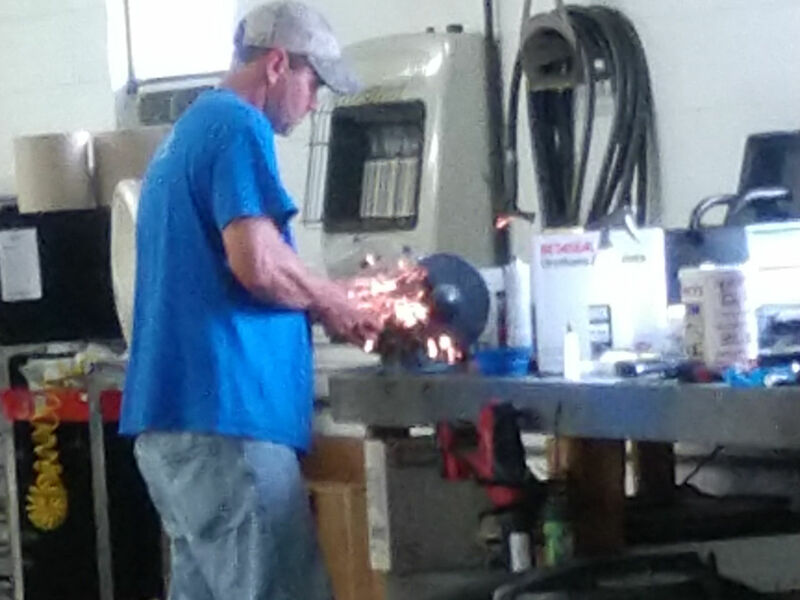 You’ll find our prices to be very reasonable, with a great warranty, and most certainly, you’ll find a friendly, dedicated and caring staff who can help you with all your RV needs. 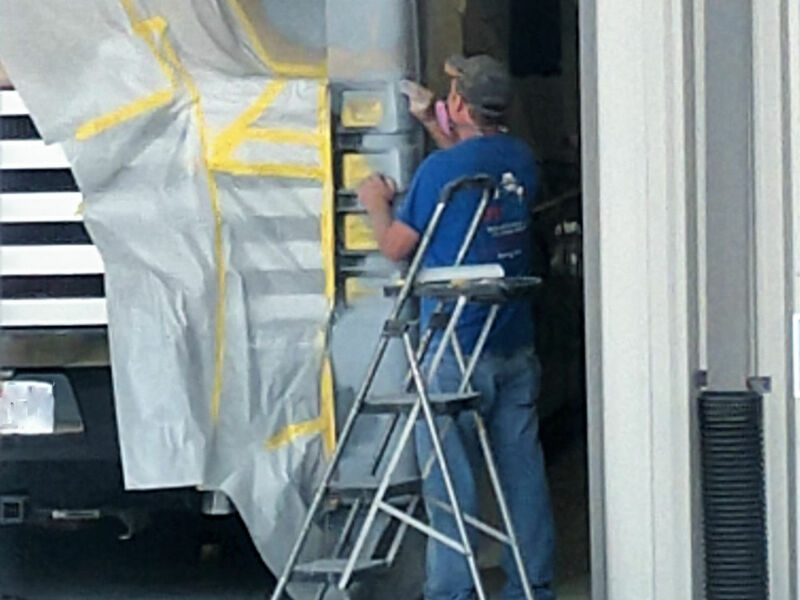 Click the image at left to be taken to more information about our custom painting abilities. 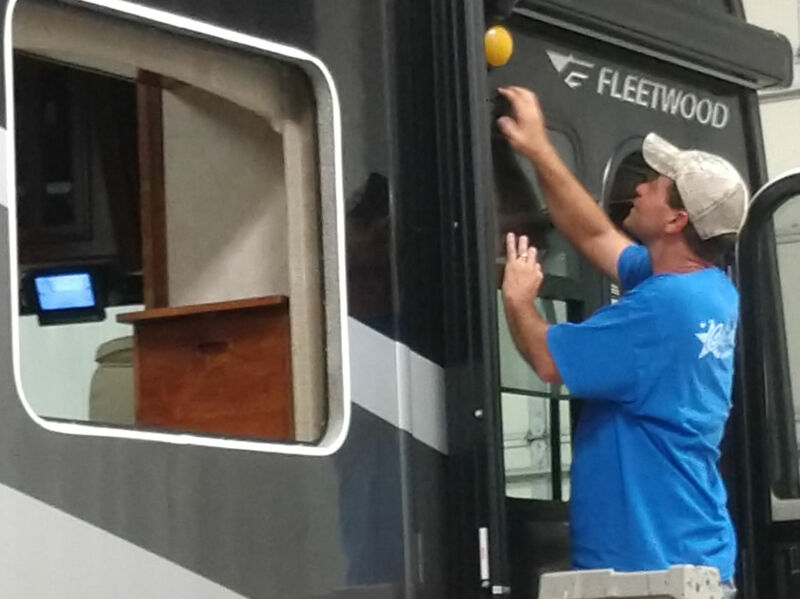 We have a booth capable of painting all RV’s on the road today- up to 45 feet in length- including Prevost, Newell and American Coach. 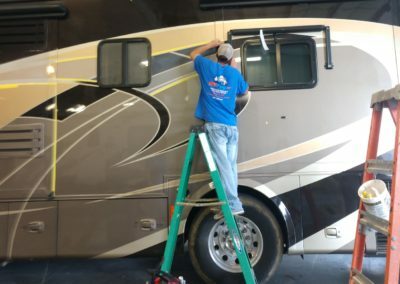 We can repaint from damage, change colors, or just update the look of your rig. 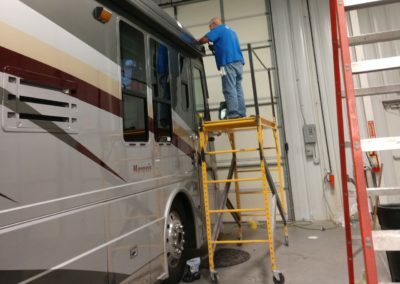 Just a typical day at the RVFogDr…. 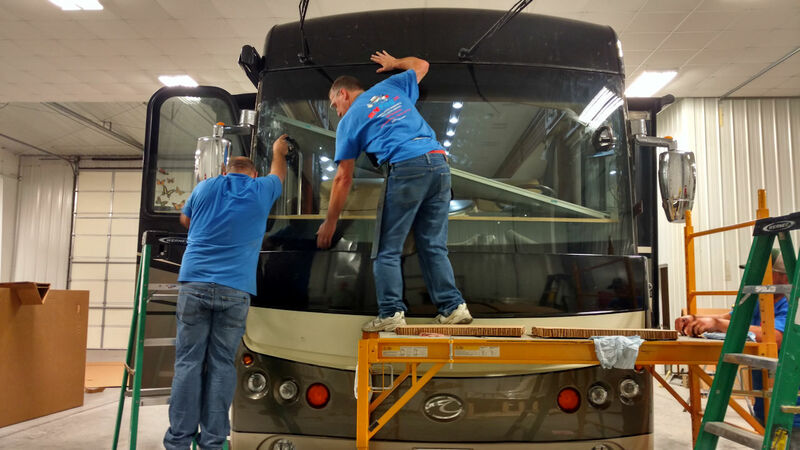 The photos below illustrate just a few of the many kinds of work done here…. 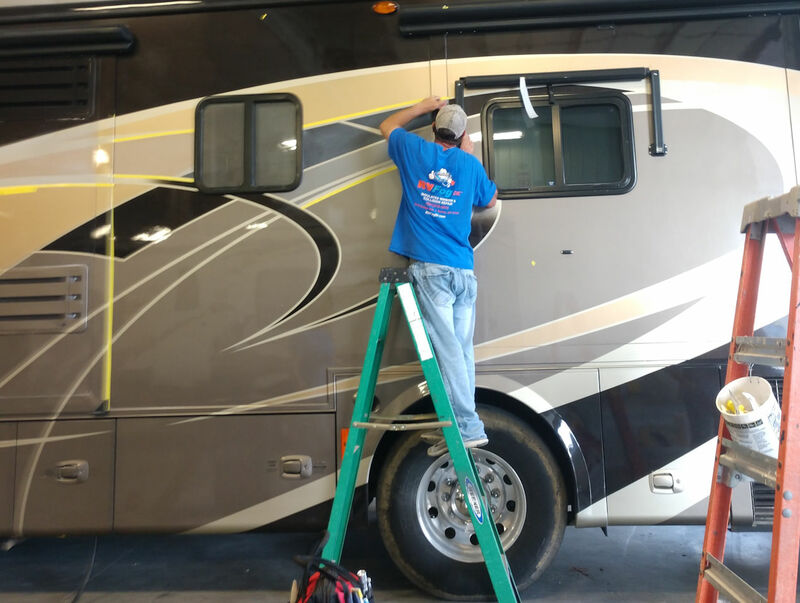 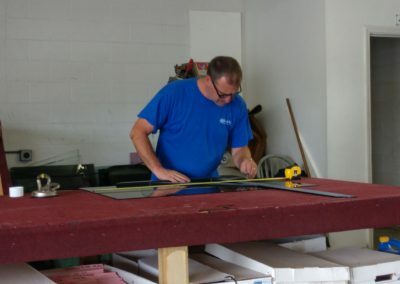 From windshield replacement – to fogged window repair – to damage repair and painting – pretty much any kind of repair/replacement you can think of… our hard working technicians can do it all. 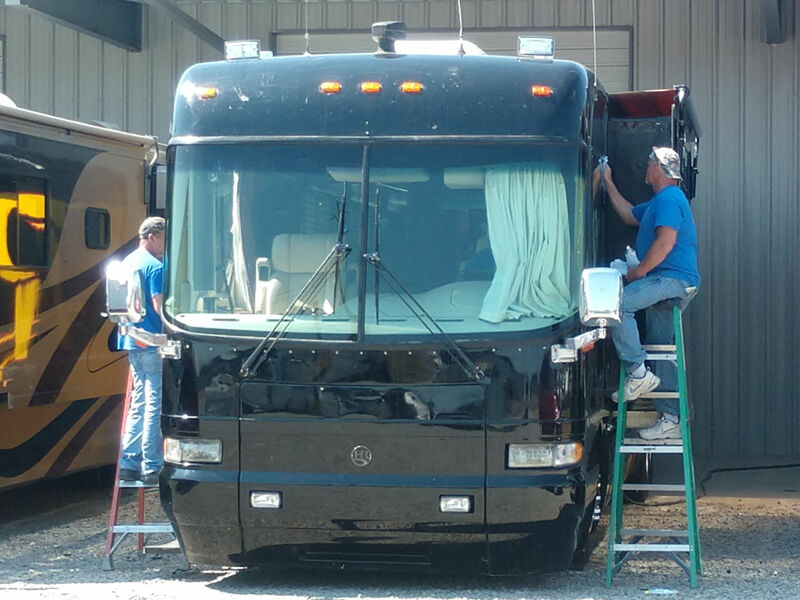 We’re here to make you happy – and certainly to make your rig look good. 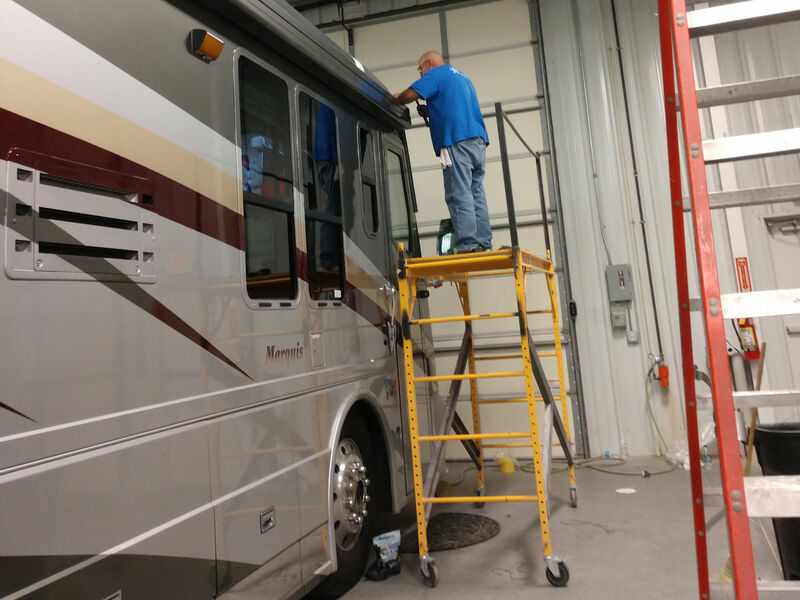 Call us today for an appointment…. 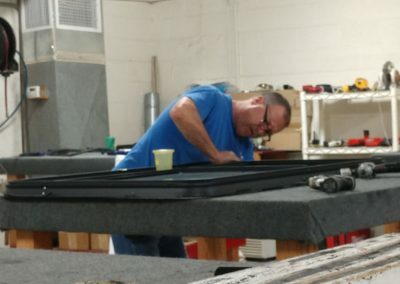 let us make your ride safer and better.